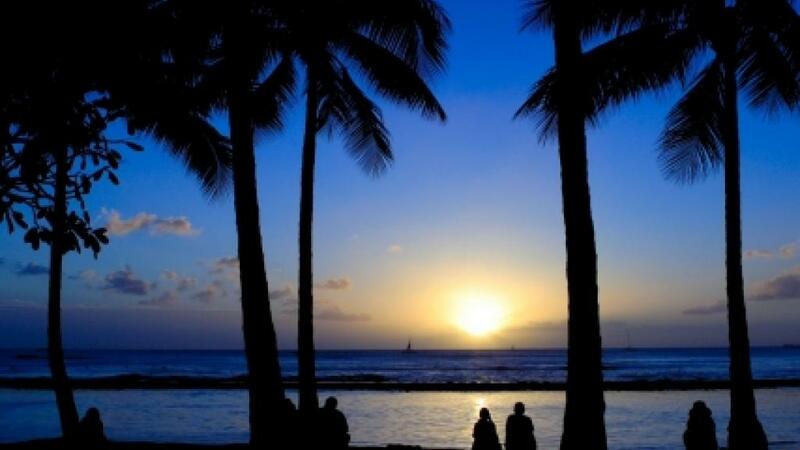 Hawaii Island is known affectionately, if not rather literally, as the Big Island and offers the ideal mix of nature, history and Hawaii’s famous laidback lifestyle. From snorkelling with manta rays to witnessing ancient active volcanoes, chowing down on some unique local cuisine, enjoying iconic black sand beaches and discovering Hawaii's rich ancient history - there's so much to discover on the Big Island. The world that exists under water may as well be in deep space for all its suspended silence and other-worldly animals. 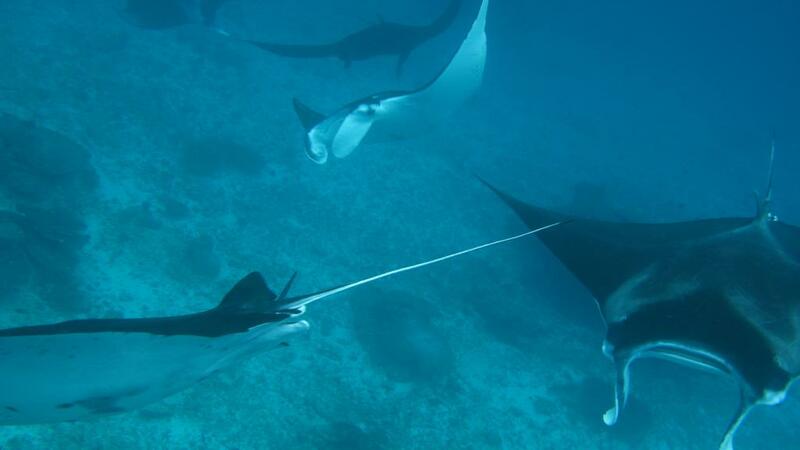 The Big Island’s Kona Coast is the ideal place to experience the strange yet beautiful dance of manta rays as they swim and swoop in hypnotic patterns as they dine on microscopic plankton. These gentle giants have no stingers or teeth but their huge, flapping wingspans are an impressive sight to see. Illuminated by lights on the ocean floor, the plankton attracts the manta rays offering a snorkelling experience that is beyond incredible. 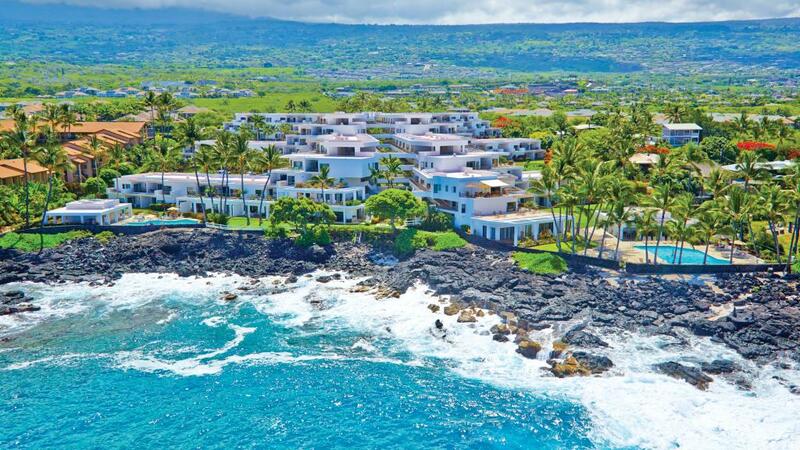 If you’d rather watch, you can enjoy a drink at the special viewing area at Sheraton Kona Resort & Spa at Keauhou Bay where mantas can be seen most evenings. Pele, Hawaii’s goddess of fire, rules on Hawaii’s Big Island. 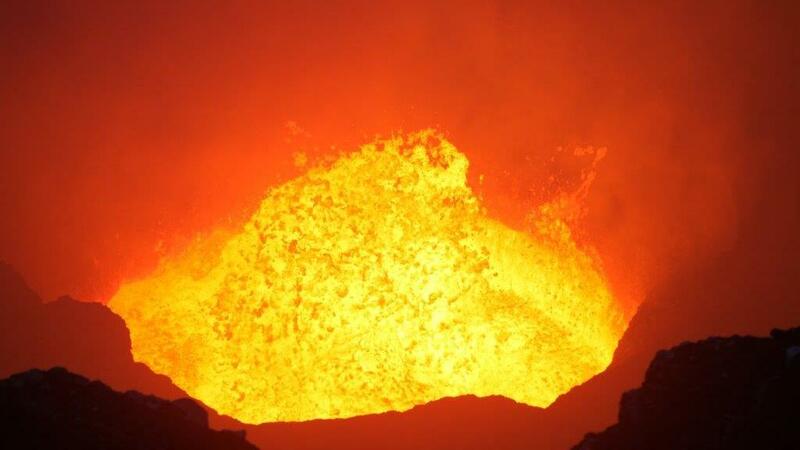 Home to one of the most active volcanoes in the world, Kilauea has been dripping molten lava for more than 30 years and creating over 200 hectares of new land. An aerial view reveals a surreal extra-terrestrial landscape of black and silver lava, puddles of red hot liquid rock and scorched trees trapped by lava. South of Hilo, the Hawaii Volcanoes National Park allows visitors to explore a misty rainforest cloaked in volcanic ash past pit craters, sulphur banks and steam vents. It’s a fascinating insight into the prehistoric landscapes of the Kau desert and Halema‘uma‘u crater. The largest volcano in the world, Mauna Loa, is also located in the park. Downtown Hilo has a pleasantly indie vibe to it, with a mix of plantation and Hawaiian history. Part hippy, part low key local, the multicultural melting pot of Hilo serves as a tropical outpost. Surrounded by ginger flowers, colourful hibiscus, banyan trees and coconut palms, balmy downtown Hilo is scattered with heritage buildings and hole-in-the-wall foodie haunts. Offering truly authentic local fare that offers a more casual vibe than many Hawaii restaurants the okazuya offer a unique blend of Japanese and Hawaiian cuisine serving up fried tid bits in sticky sauces including tempura shrimp, crumbed ahi and nori-wrapped fried chicken packaged up in convenient bento boxes for lunch on the go. You’ll also find plenty or organic food and home-brewed kombucha. Although known for its beautiful beaches, some of the best in Hawaii are found on the Big Island. From unique beaches of black sand to tree-lined stretches of sand and mystical places with rock pools, some of the best Hawaii Beaches can be found on the east coast of the Big Island. Great for swimming and snorkelling, these beaches are family friendly and are a favourite with locals. Toward the north, Akaka Falls are easily accessible and although they’re often busy they’re also magnificent. Shrouded in lush jungle surrounded by giant bamboo, orchids and flowering ginger the falls plunge 135m into a gorge. The Waipio Valley also offers breathtaking waterfalls, ravines, coastal views and sacred villages. 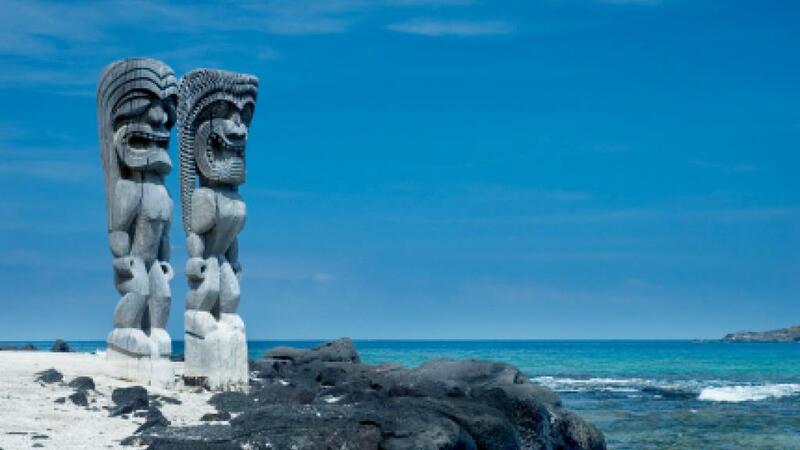 Located on the west coast of the Big Island is one of the most historic and sacred Hawaii Attractions, Pu‘uhonua o Hōnaunau National Historical Park. Reconnecting with the island’s ancient past, the park is a sacred place of peace and tranquillity. Following a path past palm groves, spring-fed pools and pale sand you’ll discover a temple guarded by fierce carved wooden idols and separated from the former royal grounds of the ‘place of refuge’ by a massive 300m wall. A refuge for Hawaiian royalty in ancient times, the safe canoe-landing and fresh drinking water offered a haven for commoners who broke taboo and were sentenced to death. If they made it to the refuge, they could be absolved. A genuinely spiritual place, the sacred artefacts are an impressive attraction.